Michael Wenzel pleads guilty:to shark dragging episode caught on video. 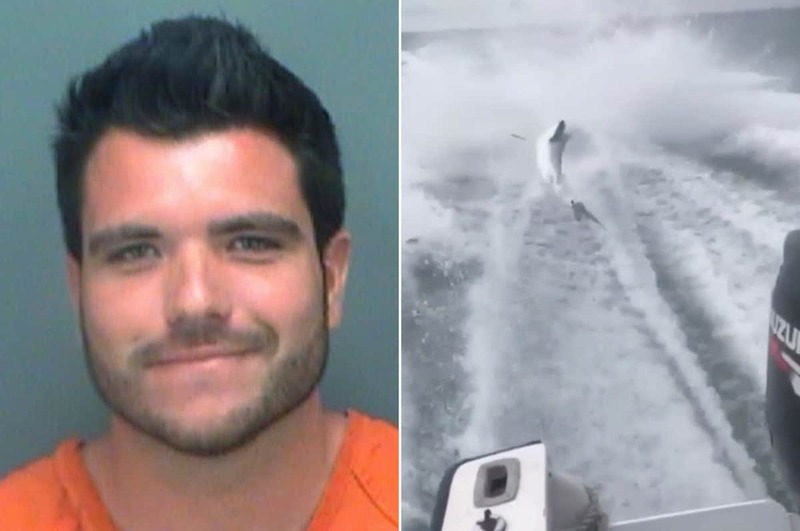 Michael Wenzel pleads guilty: Florida boat captain caught on video dragging shark at high speed gets only 10 days jail. A Florida man who pleaded guilty in connection to a video of a shark dragged at high speeds behind a boat has been sentenced to only ten days jail. Michael Wenzel, 22, of Palmetto, pleaded guilty Thursday in Hillsborough County to charges of misdemeanor animal cruelty and using an illegal method to catch a shark, the Tampa Bay Times reported. Wenzel — who was the boat pilot — entered a plea deal that will require him to spend 10 days in jail and 11 months on probation. In July 2017, video footage surfaced allegedly showing Wenzel and friends dragging the shark from a speeding boat. ‘Look, it’s already almost dead,’ one man was heard saying in the video. ‘I mean this just wasn’t hooked on a line and accidentally dragged. This was purposeful and tragic,’ Eric Hovland, associate curator of the Florida Aquarium, told via WFLA. Prosecutors requested Wenzel serve community service hours at an animal shelter. The ten day sentencing has since led to outrage. Wenzel’s attorney, Charles Britt, called the plea deal fair based on the evidence. He noted that the conduct at the heart of the case — the dragging of the shark behind the boat — was the basis for a criminal charge that the state agreed to drop. The reason: A shark expert, questioned by the state, said the videos seem to indicate the shark was already dead. ‘I have the distinct impression that anything other than a long-term prison sentence wouldn’t make these animal activists happy,’ Britt said. Robert Lee Benac of Bradenton, awaits trial in the case and charges were dropped against a third man originally charged, Spencer Heintz, of Palmetto.